I want to welcome a new sponsor this week. 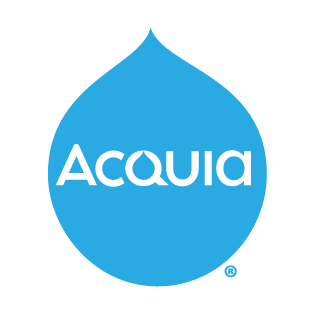 Acquia will be sharing some resources through TheWeeklyDrop over the next few weeks. Be sure and check them out and thank them for supporting this newsletter. Palantir is giving away ten passes to DrupalCon Portland to people that could not otherwise attend. If you are passionate about Drupal and can’t afford to go be sure and check this out. Applications are due by April 30, and pass recipients will be announced on May 3. Drupal Create is an iOS app that allows any content contributor to post content to any Drupal website that has included the Drupal MASt module at http://drupal.org/project/mast. Views, the most popular contributed module on Drupal.org, is an essential tool for any Drupal site. In this webinar, we'll give you a taste of what this powerful module can do, including organizing content, users, and taxonomy terms; filtering and sorting Views; extending Views with other modules, and more! Click here to register. Registration prices increase to $550 on April 26th. Be careful out there folks. Watch out for queries that are called multiple times per page load. Another great article from 2bits.com. OSTraining has a nice in depth look at the Drupal settings.php file. There’s a lot more to it this one file than you might think. My goodness is spam ever a problem. Rob Schmitt shares his experiences trying to prevent registration spam what has worked for him. Chris Eastwood shows us how to customize the CKEditor when implementing it with the WYSIWYG module. If you want to get involved in the Drupal community check out Jeff Geerling’s talk. Who Are New Contributors? What Leeway Do We Give Them? Good stuff from Cathy Theys about fostering a community that welcomes new contributors. Josh Miller walks us through the Commerce Backoffice module. Commerce Backoffice is included in the Commerce Kickstart 2 project but you can use it with any Commerce site. It makes managing your orders much more pleasant. Mediacurrent’s Kendall Totten delivers a great introduction to Adaptive Theme as well as a comparison to the Omega theme. Nice article from Friendly Machine covering the Meta tags module. This module is really underrated I think. Drupal and Twitter, tweeting in a tree! Twitter is using Drupal to unify our auxiliary sites onto one platform for streamlined deployment, fast development and easy content updates. We're actively looking for another engineer to work with our fun-loving Drupal group! Join us! Msg @kitt for details.